Among the world special forces, South Korean unit – 707th Special Missions Battalion is recognized as the group of highly trained and capable professionals. 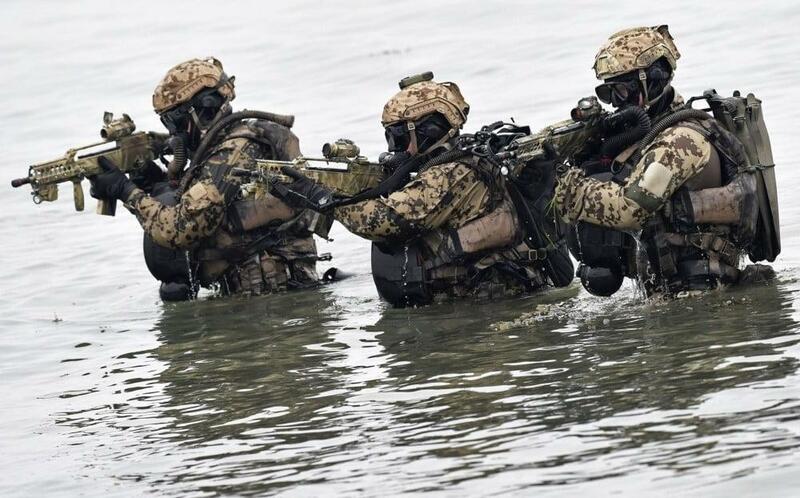 They are part of the Republic of Korea’s Army Special Warfare Command (ROKA SOCOM). The 707th Special Missions Battalion serves as the South Korea’s primary counter-terrorist unit and quick reaction force. 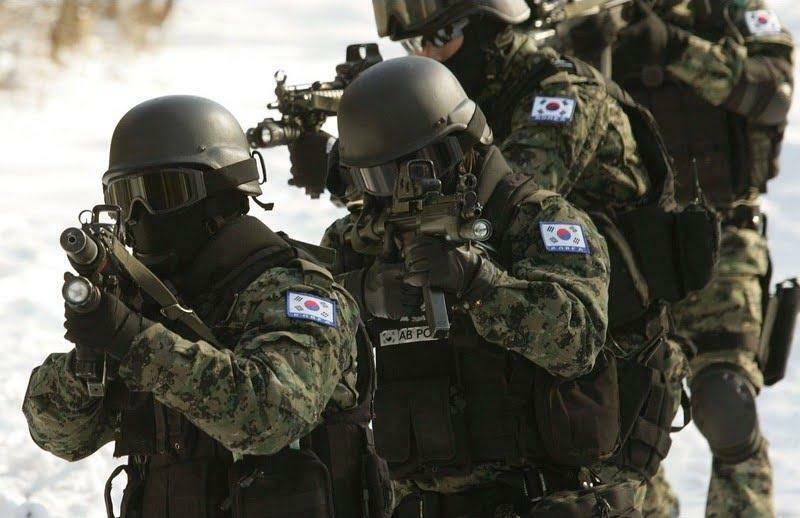 The unit’s operators – distinguished by their black berets – are tasked with various tasks including urban counter terrorist missions, and they constitute the South Korean Army’s quick-reaction force for emergencies. The unit is consisted from the few main counter teams backed up by support and demolitions teams. Their headquarters are located in Songham, southeast of Seoul. The selection for the 707th Special Mission Battalion requires that all candidates are already soldiers before they could apply for selection. When a candidate is selected to join the unit, he is sent to a year-long basic training, which includes six months of basic infantry combat skills and another six months of special warfare training. All members of the 707th Special Mission Battalion are SCUBA (a self-contained underwater breathing apparatus) and parachute qualified. For years, there are reports about their daily routines which include the performing of daily calisthenics in the snow and sub-zero temperatures. The Army already published a video of the 707th members swimming in freezing lakes without any thermal protection. There are also rumors that 707th Special Mission Batallion have a group of combat qualified female operators for use in situations where a woman would not be suspected of posing a risk, such as an airline hijacking where food and medicine might be allowed to be taken on board. The 707th Special Mission Battalion uses a wide variety of foreign and locally produced weapons and modern gear used by similar units around the world. Their secondary weapons (sidearms) include the Colt .45 and the Daewoo 9mm, Berretta M9 9mm handguns. Their primary weapon and weapon of choice for assaults is HK MP-5 submachine gun. The heavier personal weapons include both the Daewoo K1 and K2 assault rifles, mostly modified for assaults with the addition of forward pistol grips and in some cases low-light and night vision devices. Modified M- 60E3’s and Daewoo K3 Beltfed are used for machine gun support. For rearguards, a Tactical a Benelli Super-90 shotgun with pistol grips is used. 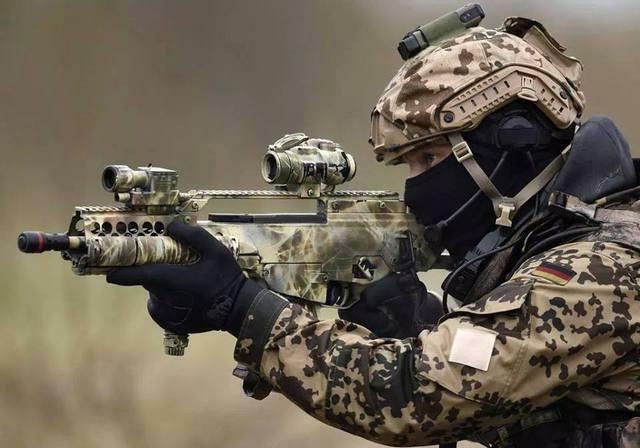 Their snipers are equipped with HK PSG-1 and M-24 7.62mm rifles. while the higher caliber needs are feed with the M-40 .50 and RAI .50 caliber weapons. The 707th Special Mission Battalion had been involved in securing of all major public manifestations. They provided security for VIPs and for key facilities during the 1986 Asian Games and during the 1988 Olympics. At both events, their mission was to protect visitors from possible terrorist attacks which were considered to be a real danger. The 707th’s operators are assigned urban counterterrorist missions. The Unit also constitutes a quick-reaction force for other kinds of emergencies and special-warfare requirements in wartime. For years, the members of the 707th Special Mission Battalion shaped themselves with joint training with foreign special forces partners, including U.S. Army’s Delta Force, British Special Air Service, Russian FSB, Alpha Group, French GIGN, FBI HRT, Hong Kong SDU, and Singapore Police Force STAR. The purpose of joint training is to gain experience and increase relationships and exchanges with international Special Forces communities in order to get to a whole new level.